Who is OZ Naturals? 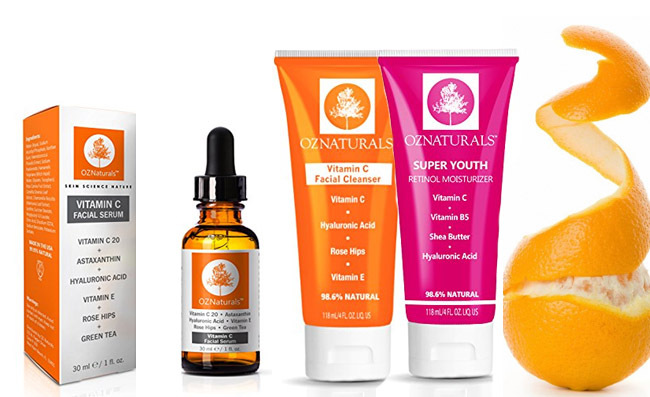 What’s to say about the Oz Naturals Vitamin C serum? What are the ingredients that explain the efficiency? What are the things to keep in mind when using the serum? What do we like the most? What don’t we like? Younger looking skin doesn’t just happen overnight. You can sure try eating the right food and drinking enough water, but when it comes to skin, using the right cosmetic products is always going to make the difference. From the natural solutions to the highly sophisticated formulas, the market sure is very generous and manages to cover all sorts of budgets and needs. 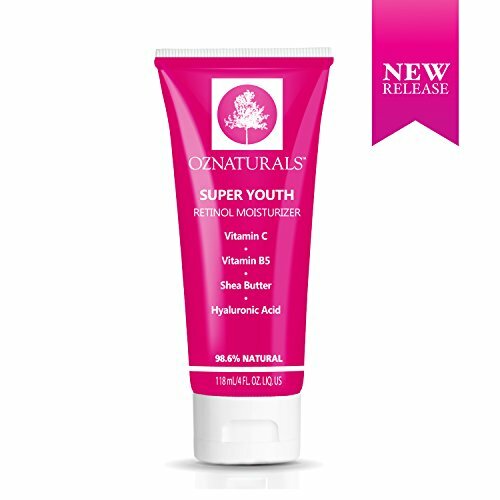 OZ Naturals is founded on the main principle that everyone should have a nice looking skin. The company is determined to combine the natural ingredients and the high performance skin care science to create products that aren’t just efficient, but also affordable. Made from the best active and natural ingredients, the products from OZ Naturals are going to make such a nice surprise for many. It gives your cosmetic products for reasonable prices, but it’s never compromising about the quality of the formulas and the ingredients. From the anti-aging serums to the sulfate-free facial cleansers, the skin care products from OZ Naturals are always a wise and affordable choice for many of us. 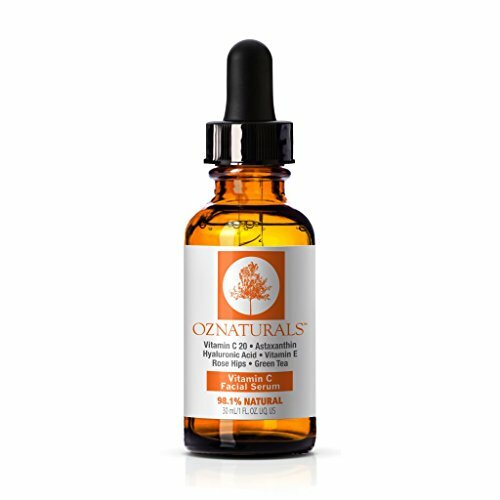 The OZ Naturals Vitamin C serum is going to even out your skin tone and smooth the texture of your skin, leading to a more radiant and younger looking skin. Formulates on vegan hyaluronic acid and clinical strength vitamin C, the serum stands out as one of the most valuable vitamin C serums out there. It fights free radicals and boosts the collagen in skin, making the fine lines and wrinkles less noticeable. Apart from the main ingredients, let’s start with this part. The serum doesn’t contain sulfates, petrochemicals, parabens, phthalates or other potentially harmful synthetic chemicals. Antioxidants are essential for a proper skin care regimen as they keep free radicals away from the skin. In case you don’t know by now, free radicals are the main cause of the skin aging. Antioxidants are always going to stop free radical damage, but they’re also able to repair the damage that has been done already to your skin. All of this actually translates into younger and healthier looking skin. Vitamin C-is able to control the aging of skin, fading out the fine lines and wrinkles. It brightens the dark spots and leaves your skin tone evener. It repairs the skin and keeps the damage of UVs under control. It gives a nice radiance to your skin and reduces risk for future damage. It doesn’t cause irritation and boosts the collagen production in skin, one of the main aspects when fighting aging. Vitamin E- it strengthens the skin’s barrier and lowers the risk for future damage and dehydration. It soothes the irritated skin and protects the skin from outer stressors. It makes fine lines and discoloration of the skin more difficult to notice. Astaxanthin- is stronger than other common antioxidants and it’s well known as a “super antioxidant”. Rose hips- moisturizes and hydrates the skin, leaving it healthy and glowing. It smooths acne scars and fine lines. It’s a good ingredient when addressing rosacea, acne and eczema. Green tea- presents anti-inflammatory abilities and reduces puffiness. It brings comfort in eczema and keeps acne and breakouts at bay. Hyaluronic acid- moisturizes and hydrates the skin for a long time. It fills in the fine lines, replenishing and giving a younger feel to skin. The formula is efficient, yet gentle enough to use on all skin types, irritated skin including. The serum doesn’t clog pores and doesn’t contain parabens or alcohol. You should always start with cleansing your skin, as cleansing is essential in any proper skin care routine. 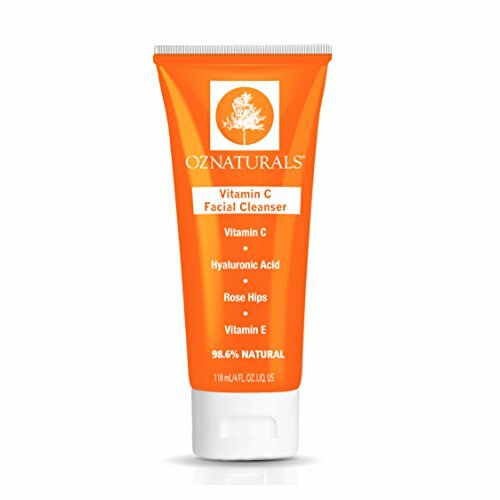 Go ahead and give it a try with the OZNaturals Vitamin C Facial Cleanser. You may confidently include the serum in your morning/evening skin care routine. You only need a little amount of it. In order to give your skin some time until it fully adjusts to the formula, it’s wiser to only use the serum once a day in the beginning, every other day, and work it up to twice per day. A thin layer of the serum should do it. Once the serum has dried (which isn’t going to take a lot), you may follow it with a moisturizer. It doesn’t leave a residue nor an oily feel to skin. It works great with your derma roller and has no obvious smell. It’s a great way to make the fine lines and wrinkles less visible and to eliminate dullness from your skin. From time to time, you may include in your night time routine a retinol cream like the OZ Naturals Pure Retinol Cream. You should pay attention to the amount you’re using so that you avoid the sticky residue. When it comes to skin, the natural options are various and plenty. When it comes to natural solutions, the good quality products coming for an affordable price aren’t as many as one may think. Able to make the fine lines less obvious and to help you put the aging process on hold, the OZ Naturals Vitamin C serum is a valid option to try and quite a bang for your buck too. Other Vitamin C serums reviewed on Sugar & Fluff Beauty: the Serumtologie Vitamin C Serum, the Mad Hippie Vitamin C Serum, the ArtNaturals Vitamin C Brightening Serum, the Claire-ity 25% Vitamin C Serum, the Lumirance Vitamin C Serum Review.